Mainstream media’s rebranding of the ‘Maker Movement’ has thrown a spotlight onto the timeworn DIY culture, which could be considered to be as old as man starting fire with a flint. Flagship successes of the entrepreneurial maker have helped spur media interest in projects such as Kano the DIY Raspberry Pi computer kit which managed to raise over a million dollars for their Kickstarter venture. Then there’s the popularity of platforms like Etsy – enabling micro-businesses to trade globally whilst retaining a 96.5% share of profit. In part, the mediated speculation is half in the hope that this maker movement will help spark ailing economies, as well as stimulating new interest in STEM subjects (science, technology, engineering, and mathematics) in education. 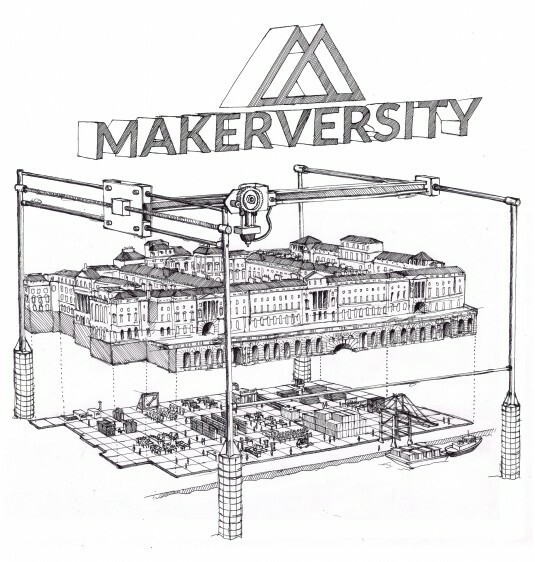 Makerversity is an initiative run by designers Tom Tobia, Joseph Smith, Paul Smyth and Andy Merritt. The industrious collective have set up shop in the middle of central London and are busy creating a model for the maker community with their hybrid part workspace-part workshop-part creative community in Somerset House. Not an unusual model for maker spaces perhaps, but the Makerversity founders all have a shared commonality: they are all designers who have been working with people, groups, organisations and institutions to design and explore ideas for social change. 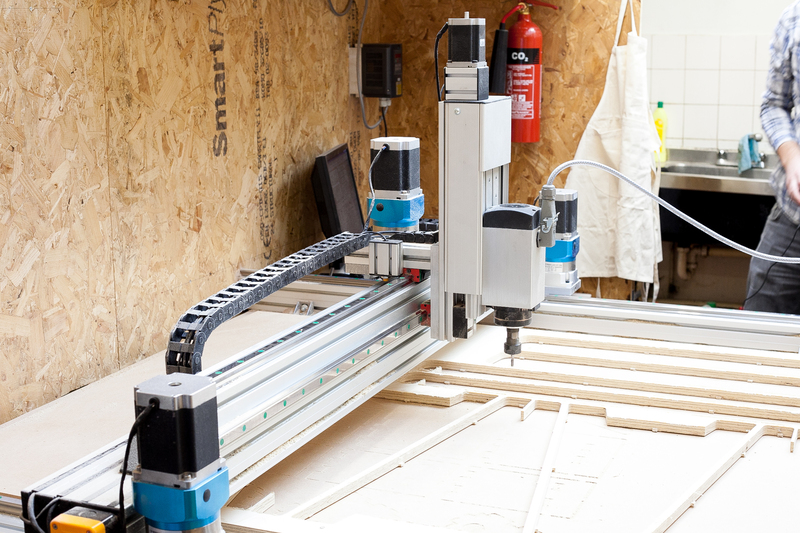 This provided the impetus to launch Makerversity: “In particular, we were interested in alternative education, building resilient populations, digital manufacturing, technology, food and how they all interconnect” explains Tom. This attitude has not gone unmissed by educational corporations such as Pearson, who Makerversity recently worked with and are also partly sponsored by. The Makerversity team constructed a future-facing classroom prototype which serves as an experimental learning environment in collaboration with Pearson. The Makervesity initiative showcases the potential in design thinking and its ability to solve not just our immediate problems but some of our societal ones too.